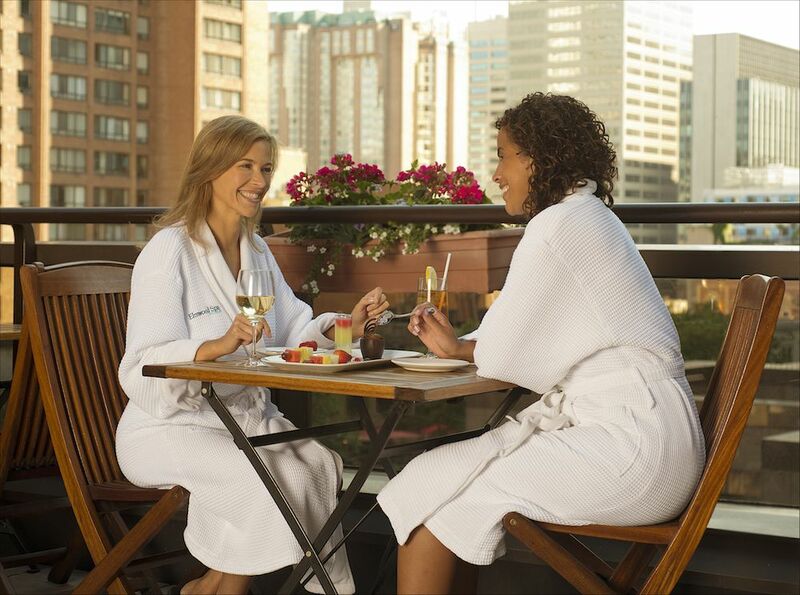 Add a three-course luncheon (appetizer, entrée, dessert) to your spa visit for $38. Enjoy a delicious lunch in our licensed fourth floor restaurant, where your spa robe is the preferred attire. With its own kitchen, the spa cuisine is fresh, prepared à la minute, and with traditional Canadian influences. The menu serves up healthy (and decadent) choices to suit every taste. When weather permits, guests dine outside on the covered Terrace patio. 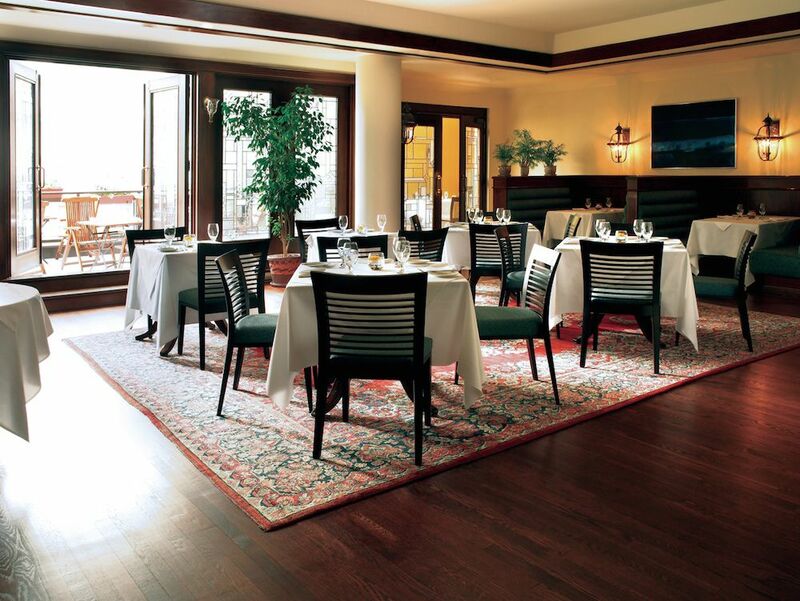 The Terrace Restaurant is the perfect choice for your next morning or evening group or corporate event. Menus and spa services can be tailored to the needs of groups of 20 or more. Our new menu features many great dishes and desserts, some of which were featured on a special segment on Breakfast Television. Nutritionally prepare your body to perform better and recover faster through the beneficial goodness of our freshly squeezed, vitamin packed juices or anti-oxidant rich açai beverages. Fit a light bite into your schedule – eat in or on the go. An assortment of fresh, made-to-order sandwiches and energy bars are available. 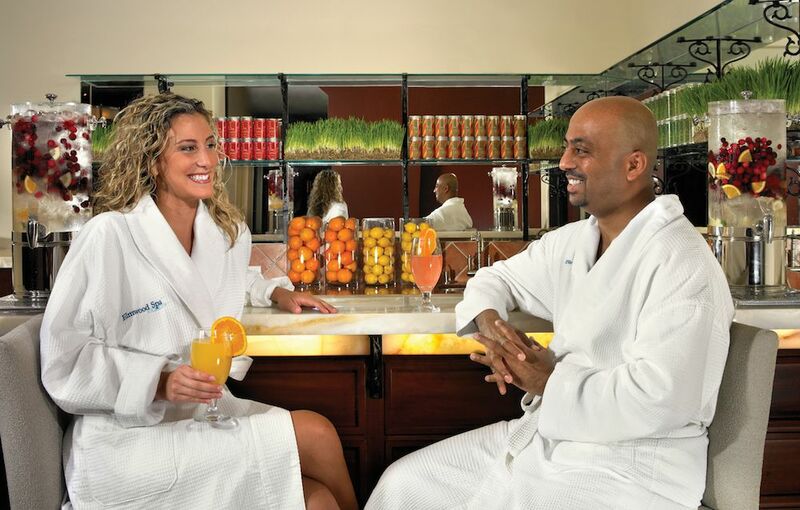 The juice bar is located on the second floor of the spa.